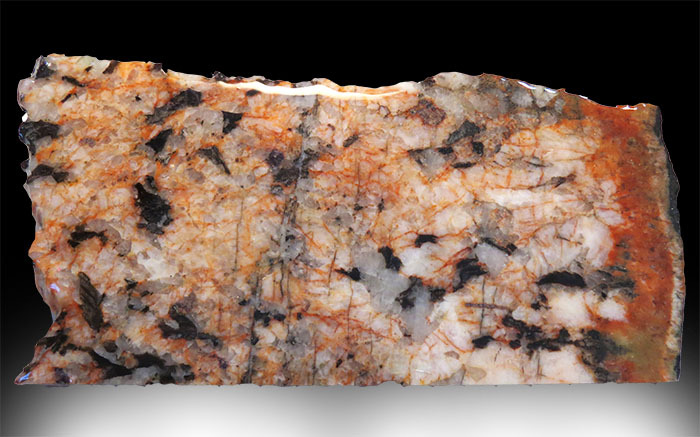 Similar to Granite, this rock is comprised of 65% silica and over 20% quartz. Mica has an everyday application in the form of Eisenglass which is a type of "viewing" glass usually used on wood stoves and other fuel burning stoves. These slabs came from the Old Mica Mine. All slabs are coated with a polyurethane based epoxy to give it a "wet" look.